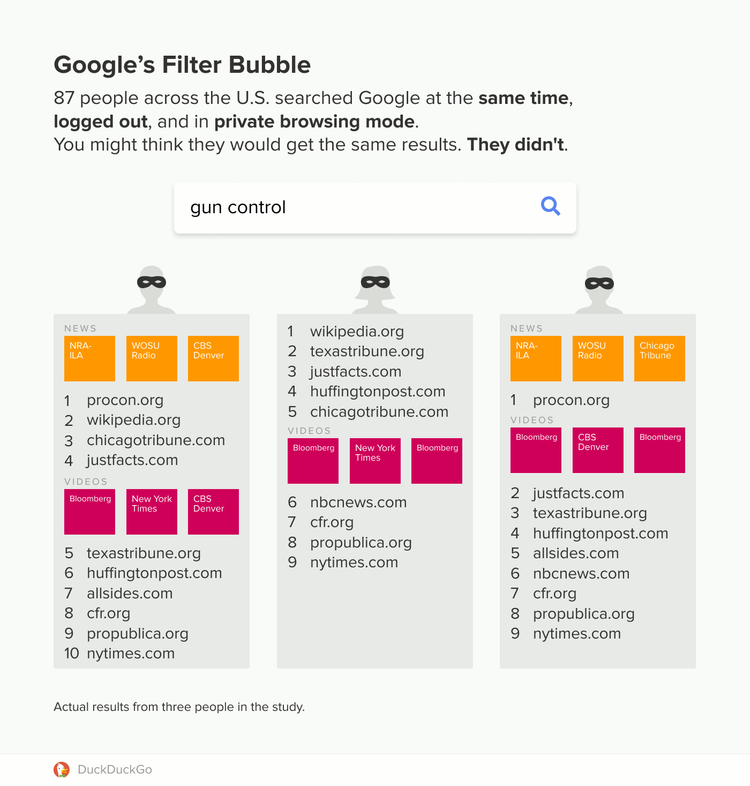 Check out this post from from the DuckDuckGo blog about the Google filter bubble problem. What accounts for the variation in search results? What lessons should we keep in mind as we work on search and recommendation?